The “Ultra Music Festival” campaign highlighted the importance of identifying opportunities that can drive ridership and the validity of the millennium market. This effort drove ridership and established a partnership with the largest music festival in the world which resulted in Tri-Rail having the highest Saturday ridership ever in its history. 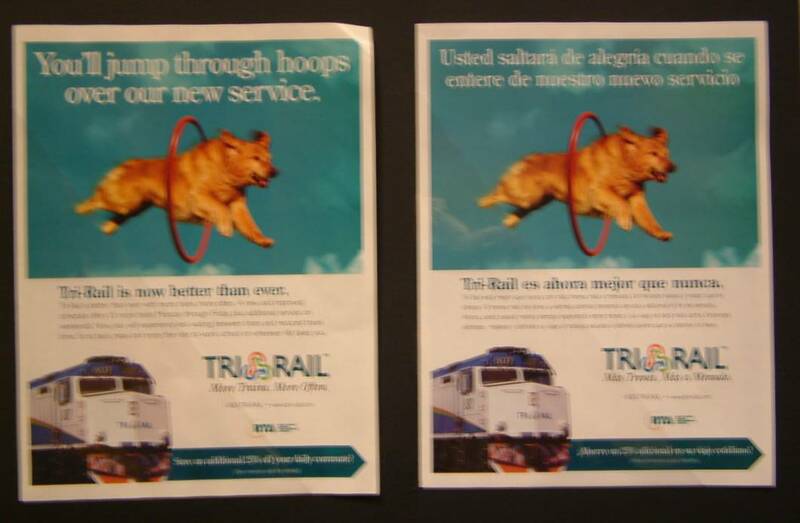 The Transit ads were placed in “Stanchions”: large standalone displays placed in agencies and businesses with high foot traffic. In addition, large route maps were also placed in bus shelter enclosures. These marketing tools that incorporate information on transit related benefits reached more than a 1,000 estimated viewers each month. An inventive and creative print advertisement entices commuters to take the Route 288 Kendall Cruiser, which uses an energy efficient bus and offers limited stop service along Kendall Drive. In addition, passengers can catch up on missed sleep, read or surf the web using the free Wi-Fi available on board. Tri-Rail’s “Rail Love Affair” was a creative approach to highlight the benefits of riding the train to work, school or play. This successful effort spoke to multiple audiences, resulting in a 5 percent increase in ridership during the 2-month promotional period, plus exposure to more than 3.2 million diverse consumers. Target Audience: College Students Project Cost: $3,835 Description: MDT’s College Discount Program was advertised in the annual Parents Guide for University of Miami and Florida International University. This proved to be an overwhelming success, as evidenced by a sharp spike in the purchase of the EASY Ticket College Pass. 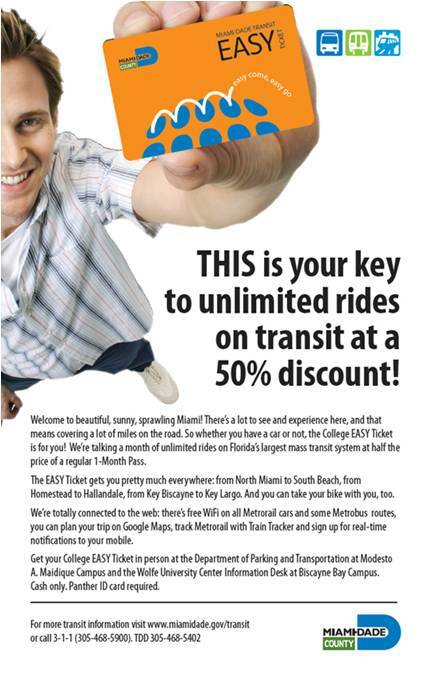 The bright and attention-grabbing ad, featuring a young college student, explained in straightforward language the ease of using public transportation and its many additional benefits such as the Bike and Ride Program, WiFi and the ability to receive information about the system directly to their mobile device. Such advantages, coupled with 50% off the full price sticker, no doubt led to the increase in sales. Target Audience – Commuters who use automobiles to get to work. 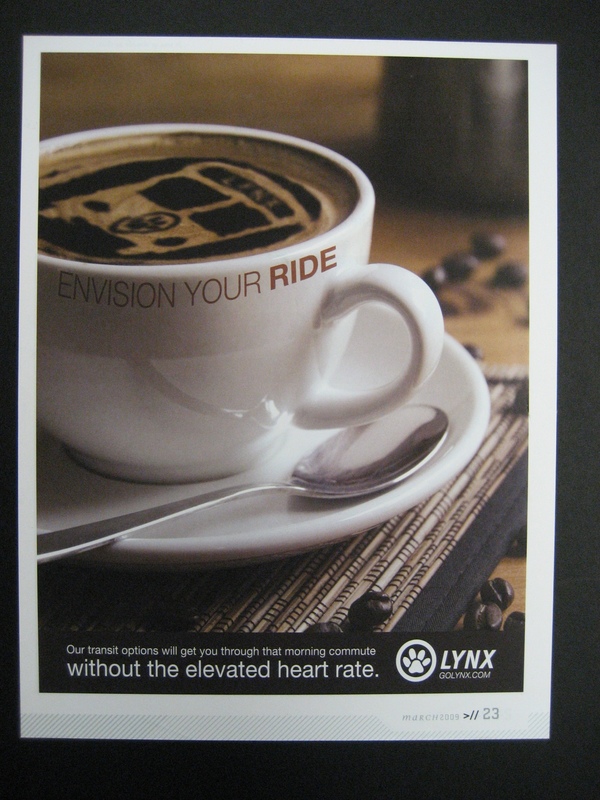 Project Cost – $550 Description – LYNX’s campaign was called “Envision Your Ride”. We wanted people to envision a calm, comfortable commute to work as opposed to the stressful, rush-hour situation most people drive in. The cup of coffee creates a relaxed mood and the LYNX bus logo inside the cup allows the reader to envision what a satisfying commute might look like. Target Audience – City of Gainesville organizations with 100 or more employees. 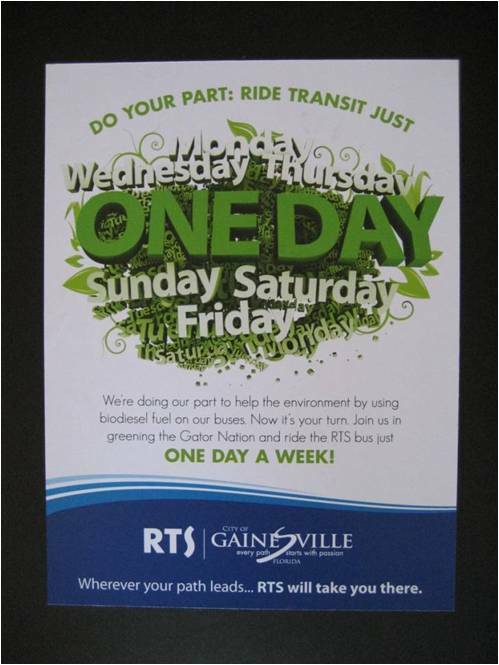 Project Cost – $1,795 Description – In order to gain awareness about the RTS Employee Bus Pass Programs, a print advertisement was designed and placed in a local business-to-business publication, “The Business Report.” This publication has a distribution of 5,000 within Gainesville, which includes all local businesses and Chamber of Commerce members. 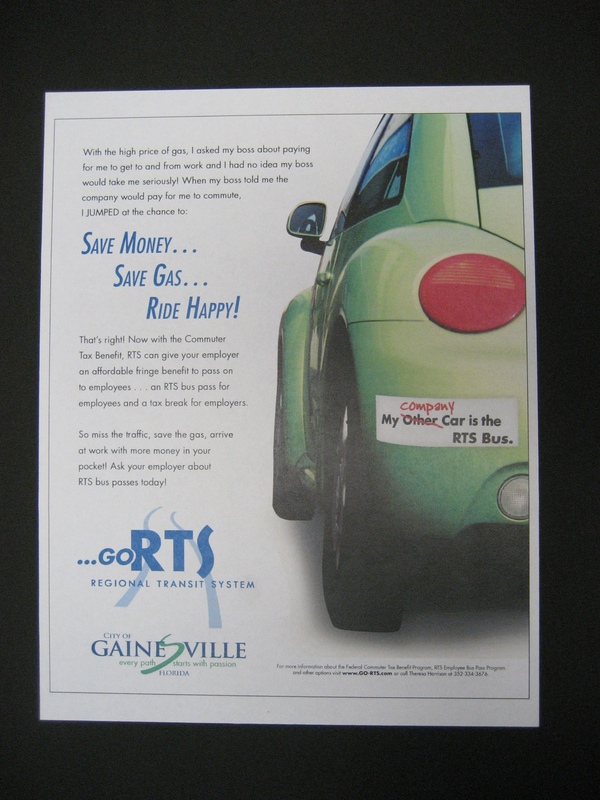 With the Employee Bus Pass Program print advertisement being distributed to business members in Gainesville, the program gained awareness. 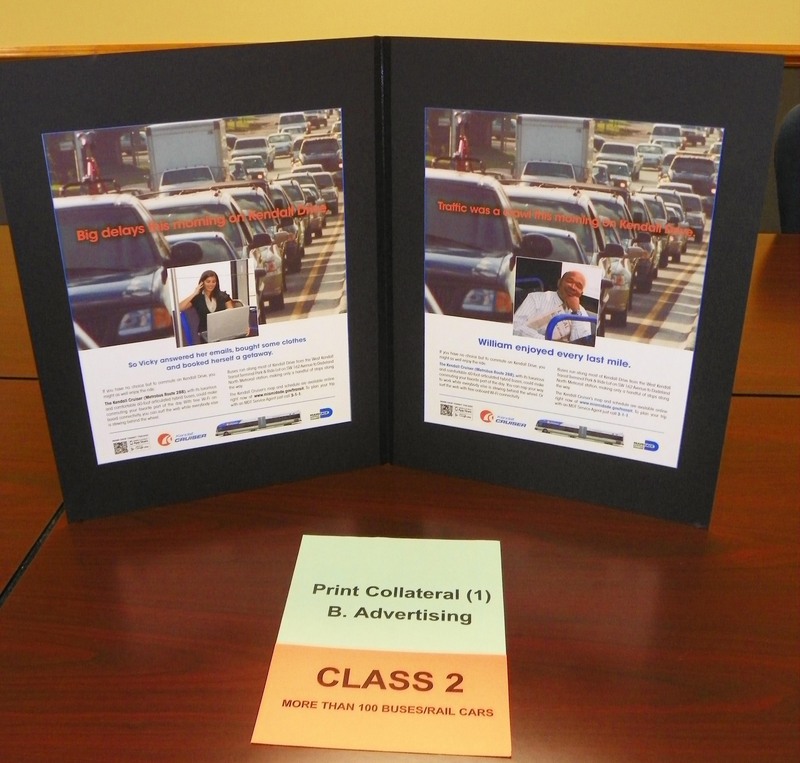 Target Audience: Residents of specific communities served by Commuter Express Project Cost: $20,000 Description: HART’s strategy used community newsletters in targeted residential communities to educate and encourage trial rides by commuters. Residential newsletters provide a neighborhood-focused forum to customize a message. 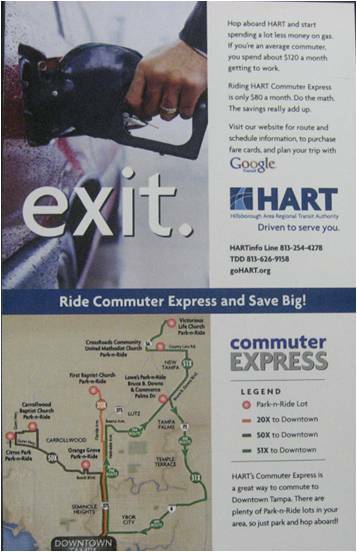 In this case, HART promoted its Commuter Express routes and used a call to action that included a free 1-Day Unlimited Ride Farecard. The objective was to encourage trial rides and build ridership. 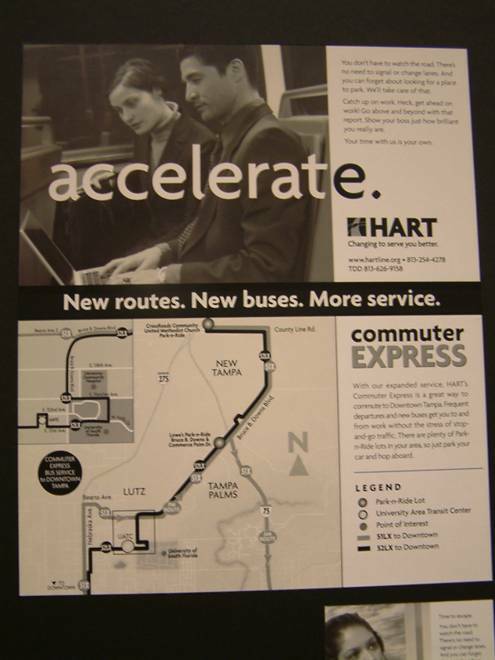 During this promotional period, HART experienced substantial ridership growth on each route featured in the Targeted Community Ridership Development campaign. Specifically, Route 51x grew by 145.5% when compared to the same period in July 2007. Route 20x experienced a 122.5% increase in ridership and Route 50x grew by 44.5%. 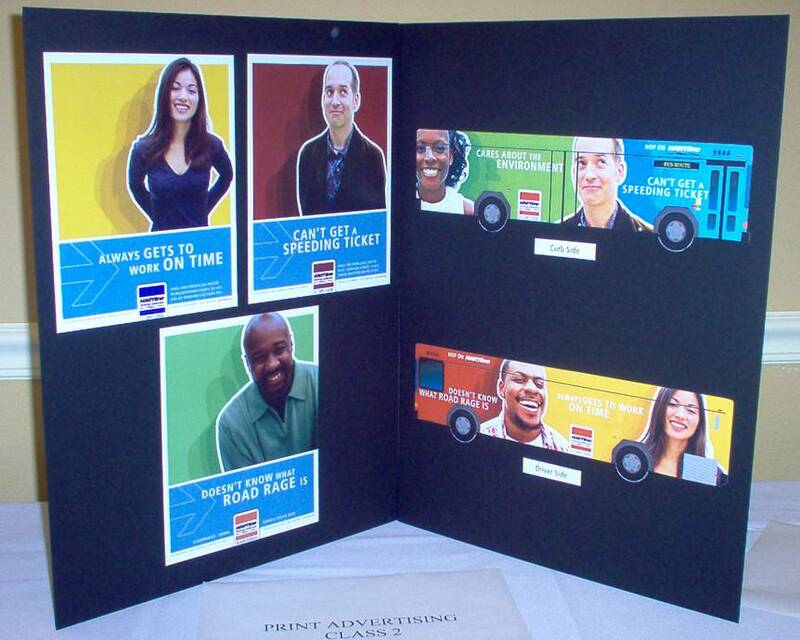 In all, HART’s Commuter Express service grow by 40.2% during one month of this marketing campaign. 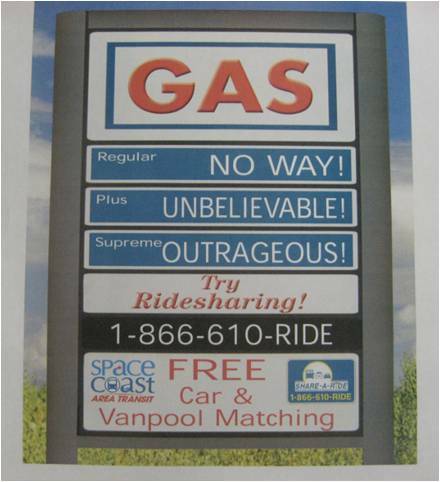 arget Audience: Single occupant car drivers/ commuters Project Cost: $0 Description: The bold expressive layout of this ad encouraged commuters to “Try Ridersharing” as an alternative to paying outrageous prices for gas. 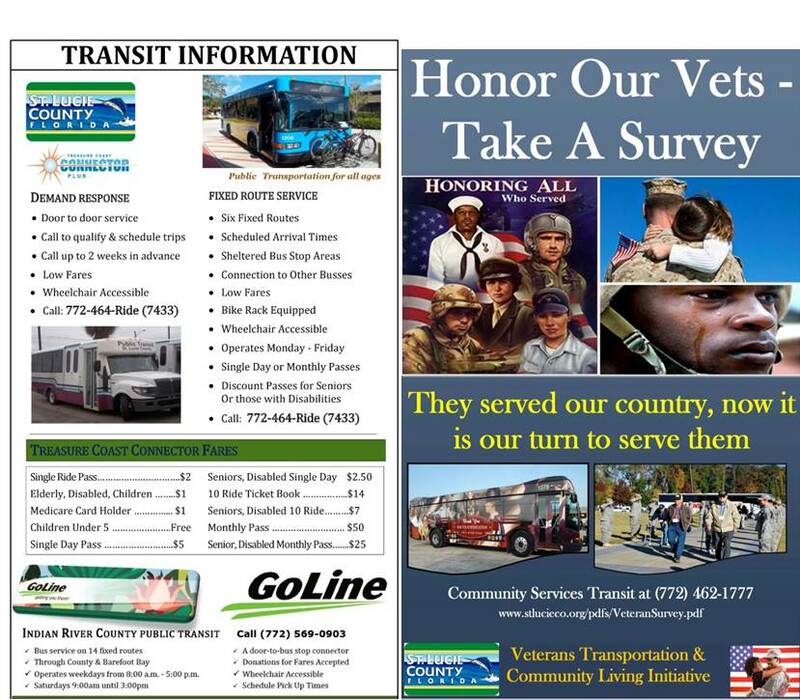 As an added-value benefit derived from a contract with Florida Today Newspaper to print transit maps and schedules, Space Coast Area Transit received free ad space donated by Florida Today in their daily and 6 weekly newspapers. Therefore, there was no cost associated with production or ad space of the ridersharing ad. The month long print campaign netted a whopping 113% increase over the prior year in inquiries to the 800 phone number. Most callers requested custom information, from specific points of origin to specific destinations. The majority of points of origin were in neighborhoods where demographically, choice riders live. This statistic ties back into the demographics of the readers of Florida Today subscribers. Target Audience: Business Owners Project Cost: $3,000 Description: The challenge was to get the magazine’s “choice” readership to consider using – or have their employees use – carpooling as a means to get to work. 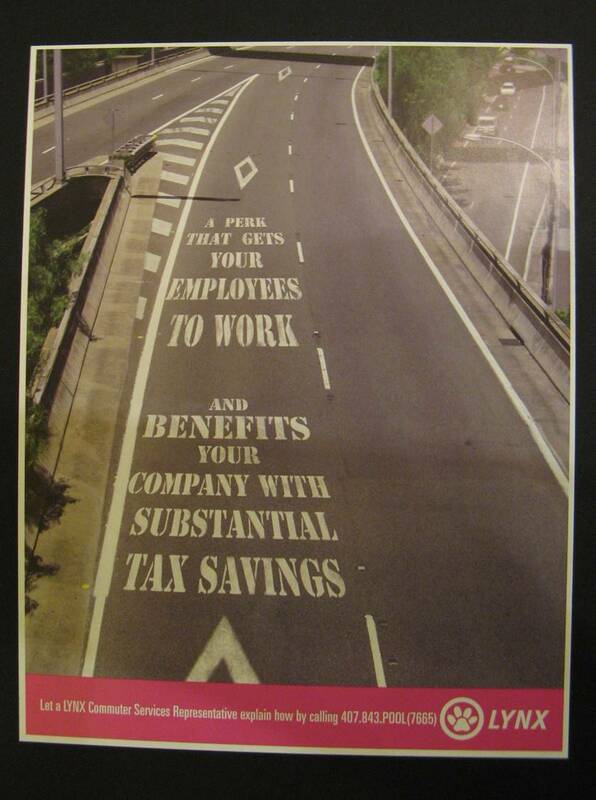 The strategy was to appeal to the employer via tax benefits and employees via convenience. The impact was dramatic. The number of registered carpools increased 28 percent in the past year. Target Audience: General Public; Potential Riders Project Cost: $10,000 Description: Tampa roads are congested and there is major construction on most highways. This advertising campaign was designed to increase public awareness about the benefits of using public transportation and depict HARTline as a viable choice in reducing the stresses of commuting. The images used in this campaign showed everday people while spotlighting the downside of commuting in a highly congested community. 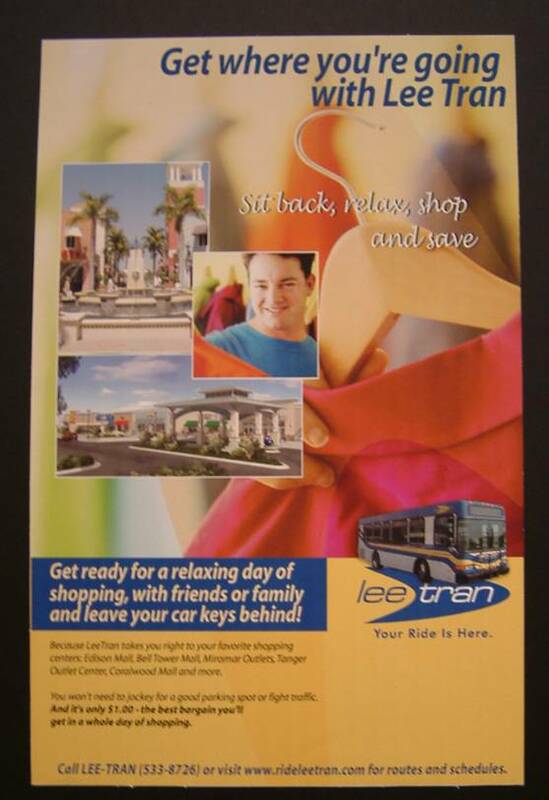 Bus exteriors, print ads, and lighted kiosk displays at area malls were used to communicate the ease of commuting by bus to avoid the hassles of driving in traffic, the risk of another speeding ticket, and to negate being a victim of road rage. 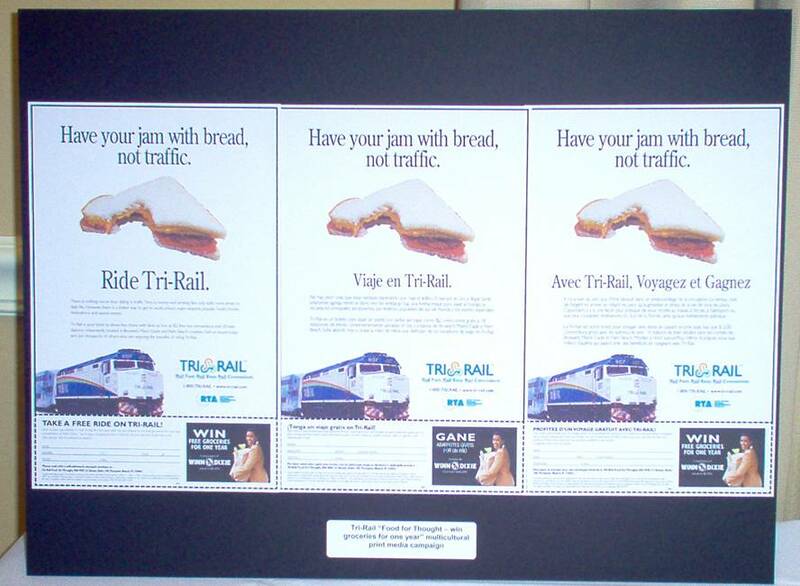 This campaign increased public awareness of HARTline as a commuting choice and encourage trial use. This campaign won a Gold Award at the Addy’s sponsored by the Tampa Bay Advertising Federation and the 2005 APTA AdWheel first place award. Target Audience: Potential train riders Project Cost: $40,000 Description: This advertising campaign reached millions of potential riders in 22 multicultural publications. More than 3500 people responded for a free transit ride and a chance to win free groceries for one year. Website and customer service contact was accessed 10% more compared to previous year’s usage.